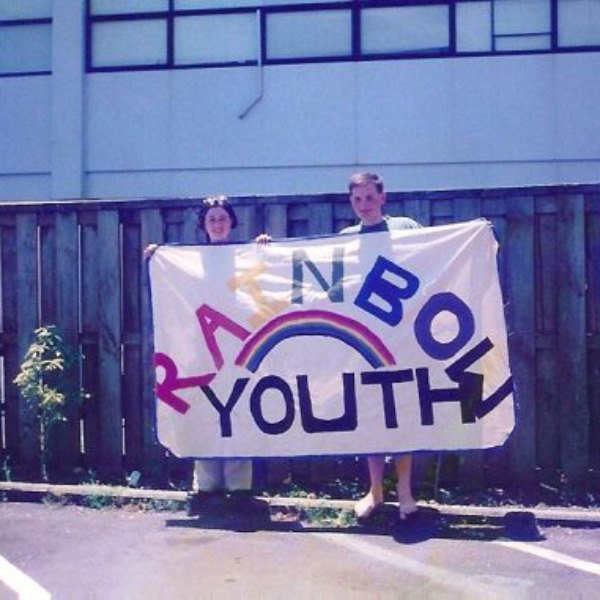 RainbowYOUTH and Auckland Libraries are collaborating on an interactive exhibition that explores and celebrates the 28-year history of RainbowYOUTH. Held in RainbowYOUTH’s new Drop-in Centre in central Auckland, Know Who You Are, Be Who You Are features a variety of different audio interviews with past and present RainbowYOUTH members and staff. The interviews chart the history of the organisation, and are accompanied by archival photos dating back to the early 1990s. Know Who You Are, Be Who You Are also incorporates a series of posters devoted to different aspects of RainbowYOUTH’s history and the experiences of members and staff. Visitors will get the opportunity to contribute their memories of RainbowYOUTH to the exhibition. The exhibition will be open to the public throughout Auckland Pride during Drop-in Centre hours. Please be aware that RainbowYOUTH will be operating its usual services during this period.